It's Memorial Day and the unofficial start of summer. As we enjoy this day, we should also remember those who gave their lives for our freedom. A few of the Trendy Gals made cards to share with you. Please visit their blogs to see the details on their projects and leave a comment. Hello! 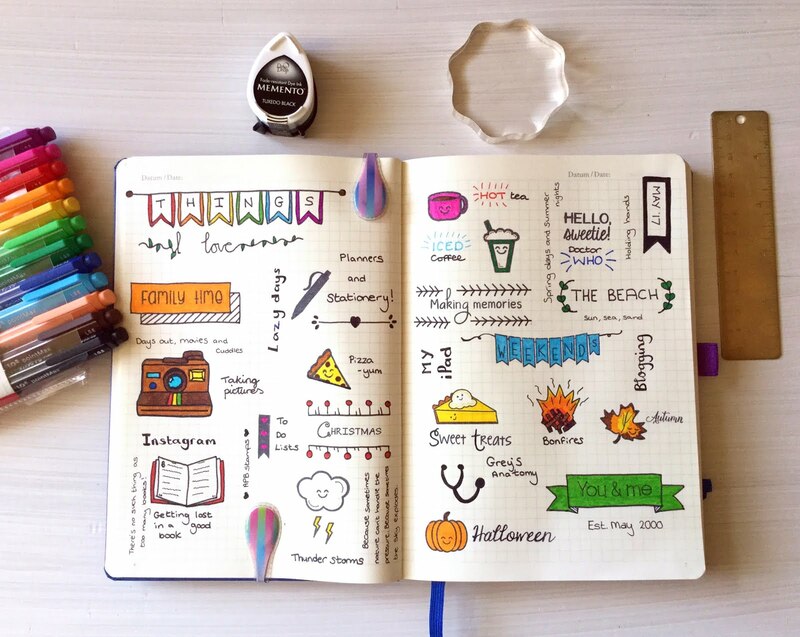 Welcome to Planner Friday! I am Amanda from She's Eclectic and I'm here on the Trendy Twine blog once a month to share my planner ideas with you. This month I used some Annie's Paper Boutique stamps to create a bullet journal layout about the things I love. It was fun to sit and think about all of my favourite things and then getting them down on the page. I found lots of bullet journal inspiration on Pinterest and got some nice ideas for different kinds of banners and borders. Then I combined those with my APB stamps and doodled everything else. To make the layout look more interesting I stamped and doodled horizontally and then wrote things down vertically, doing this also gave me more space to play with. Do you like how it turned out? If you feel like creating your own bullet journal or prettying up your planner stop by the store now and check out all the supplies! 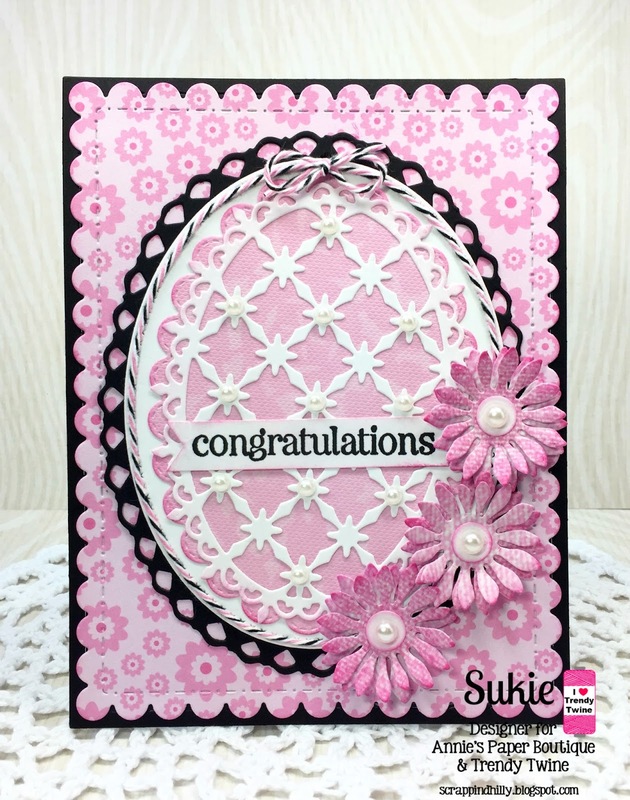 This is Shelly from My paper love sharing a wedding shower card showcasing pink midnight twine and Pretty in Pink ribbon. I love the new ribbon that was released on Mother's Day, it's gorgeous and goes so perfectly with Pink Midnight. A while back I found a really cool sketch and saved it for the perfect card. I also had the Echo park wedding bliss stack that I have been using it ALL month with this gorgeous twine! I just pulled a few different pattern papers and followed the sketch. I die cut the word love in gold foil paper and placed it front and center right underneath that Pretty in Pink ribbon and pink midnight twine. Look at how beautiful that ribbon and twine are! 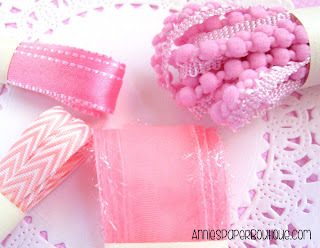 It has been so much fun creating with this color this month and if you want your own ribbon and twine then stop by store and check out all the goodies this month! Happy Monday! 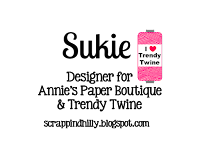 This is Sukie and I have project to share featuring Pink Midnight Trendy Twine. 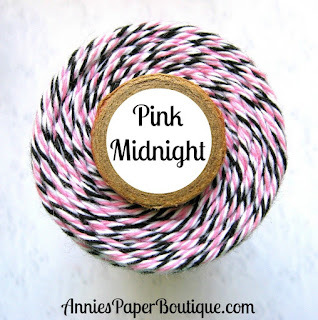 This twine is a gorgeous twist of pink, white and black and is one of my favorite color combinations. I used the twine to accent my card. 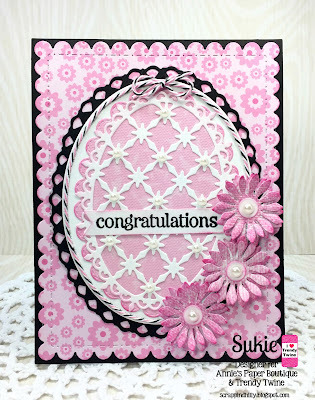 To create my card, I started with Nested - Scalloped Stitched Rectangles from Gina Marie Designs and layered it with 4 different ovals cut from various dies. 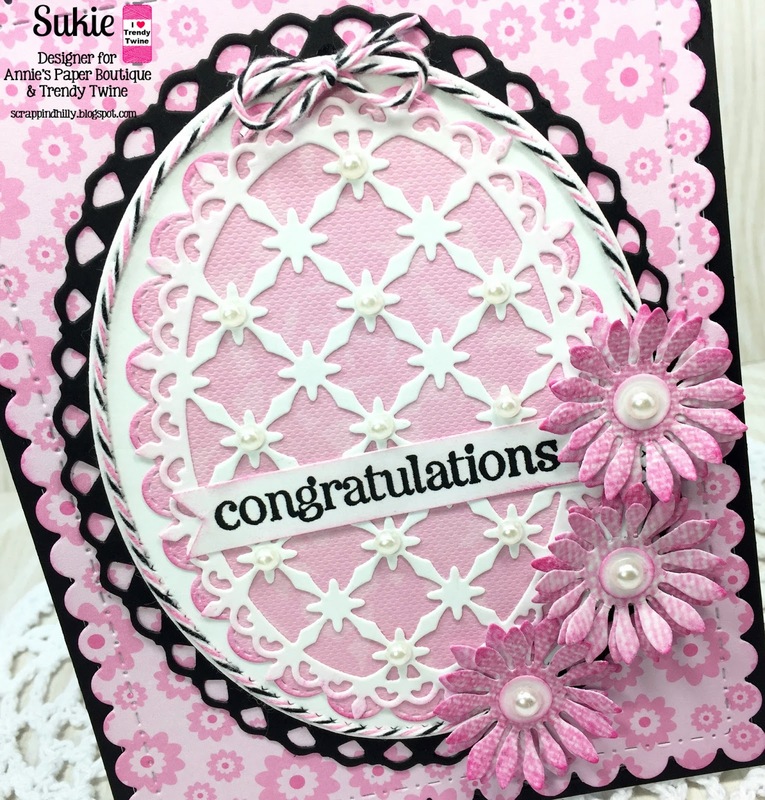 The lace oval was accented with some pearl stickers. I outlined the white oval with the Pink Midnight twine and added a bow at the top. A few layered flowers were added as accents. 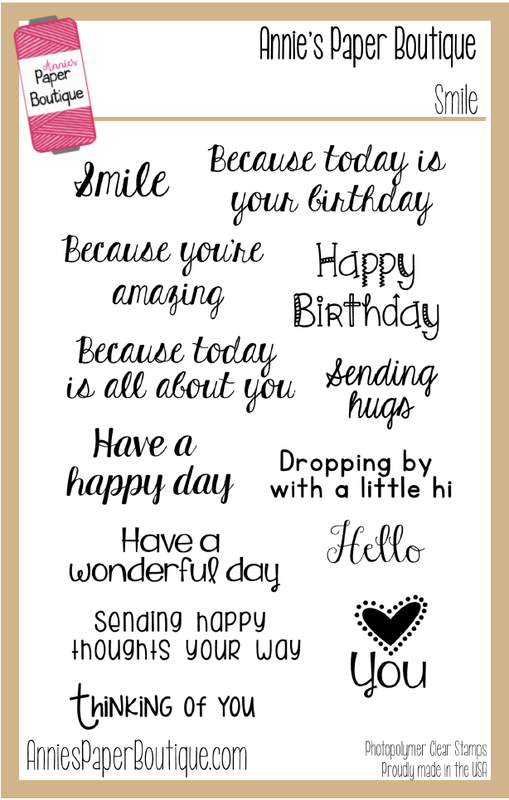 The sentiment is from the Stampin' Up Cuddles and Kisses stamp set. This gorgeous twine is available over at Annie's Paper Boutique! Thanks so much for stopping by! Have a wonderfully crafty day! Hello everyone! Beth from Beth's Beauties here with you today. I have had SO much fun using the spotlight of Pink Midnight Trendy Twine this month. 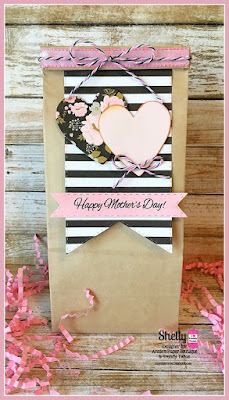 This card matches the Tin-Tie bag that I shared on Mother's Day. Once again, I used papers from DCWV's Meet Me In Paris stack because they are a perfect match with the Trendy Twine. 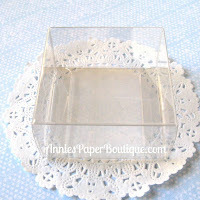 I used GMD Stitched Rectangle Dies and an unbranded doily die that I cut in half. 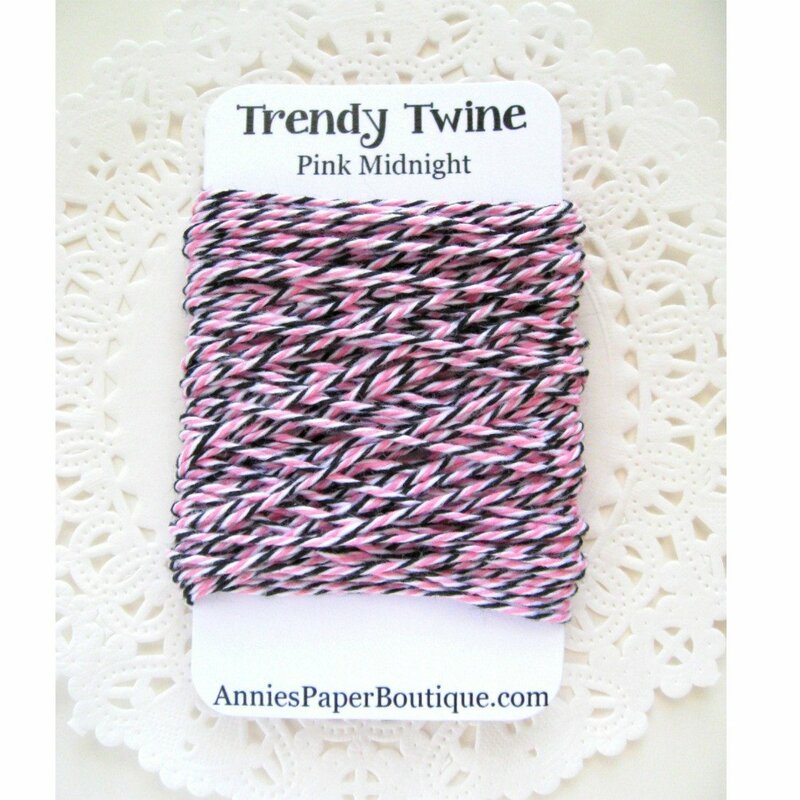 I wrapped the Pink Midnight Trendy Twine around the doily and tied it in a bow. The sentiment is from a Heidi Swapp stamp and was stamped with Versafine Onyx Black ink. 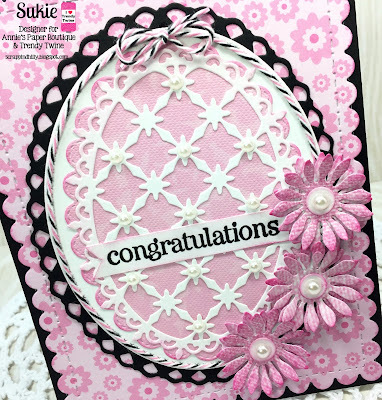 I loved the layout and elegance of this card so much that I had to make two! 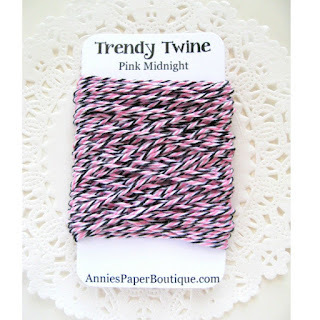 Stop by my blog, Beth's Beauties, to see how you can win this Pink Midnight TT Mini! Hello everyone! I'm Helen from HTB Creations. Today I have a thank you card for you. 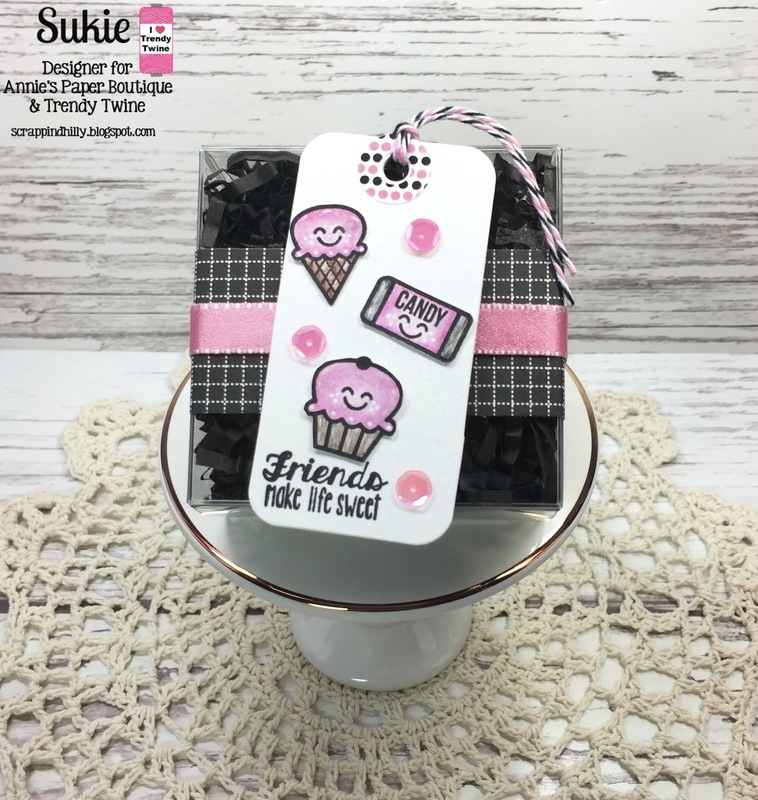 I used the Pink Midnight Trendy Twine and a few sequins from the Bumblee (black) and Raspberry Cupcake (pink) sequin mixes. The flower and the thanks are cut from Cricut Design Space. 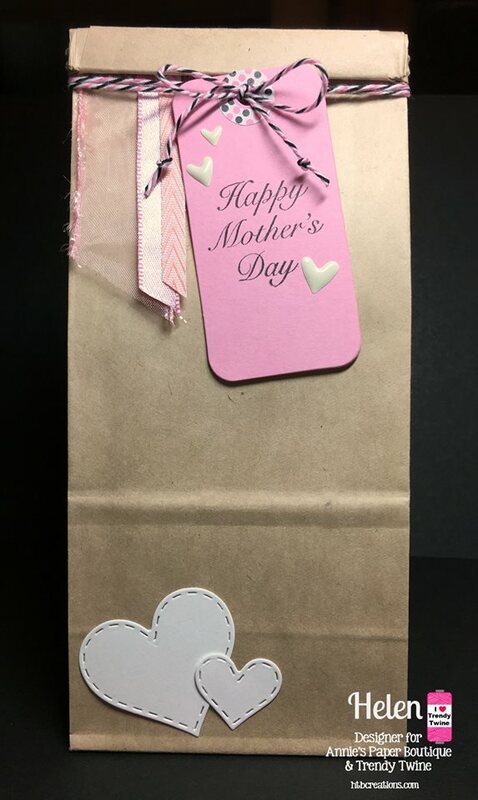 Then I used a die to cut the white card mat and glued my Pink Midnight Trendy Twine around the bottom and added two small bows. I really wanted some pink and black sequins so I pulled out my Raspberry Cupcake Sequin Mix for the pink and my Bumblebee Sequin Mix for the black. It's perfect! 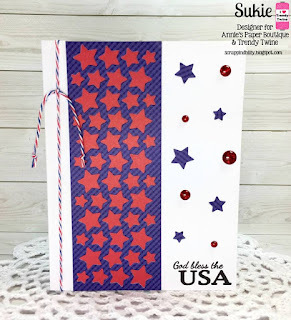 Be sure to stop back by here for more fun projects! 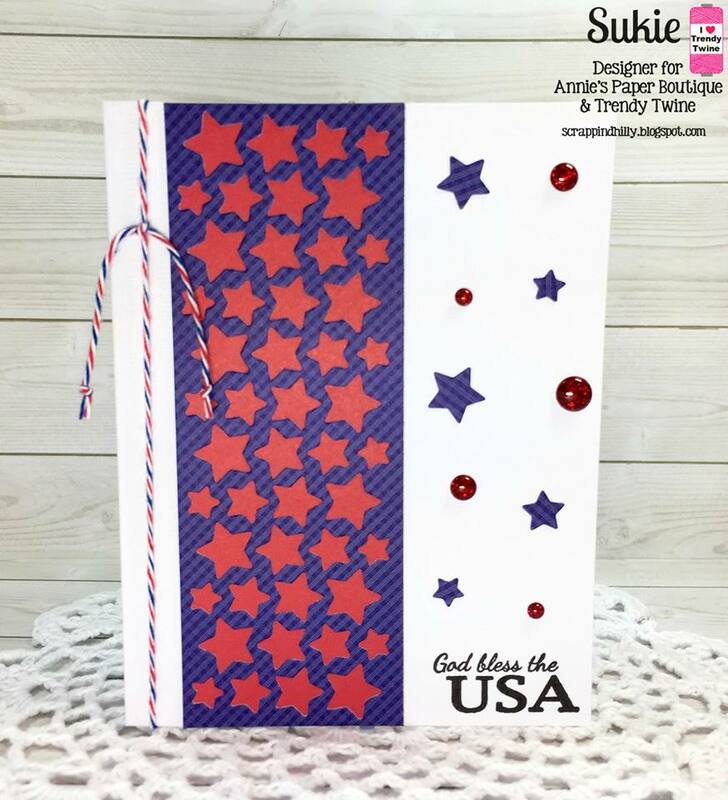 The Trendy Gals have created some beautiful projects to add a bit more happy to your day. Did you notice the new products? 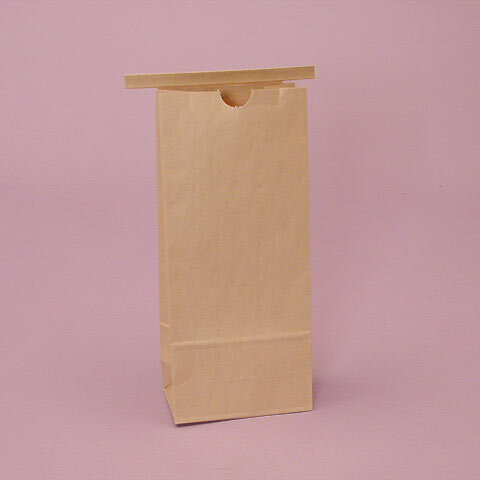 These bags are perfect for all sorts of treats and gifts. Just decorate them for your special occasion and fill with fun goodies -- so easy peasy. Use this beautiful set for handmade cards and tags, gift wrapping, or treat packaging. 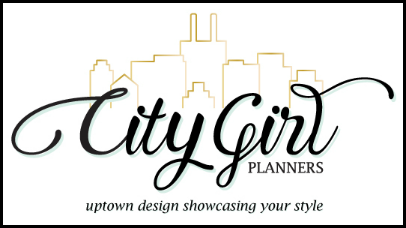 Be sure to visit by each blog to get all of the creative details. 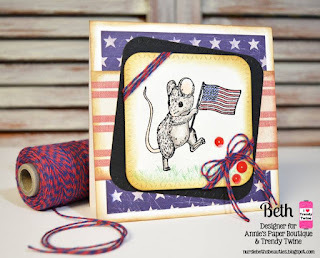 Beth is having a giveaway on her blog, so you definitely don't want to miss out. 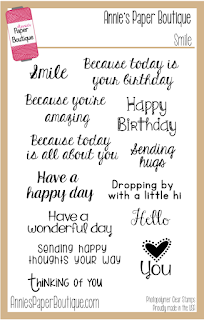 We hope you have a wonderful day and get to have a little fun, too. Trendy Twine - Thinking of you! Long time no see :) This is Shelly from My paper Love, it's so NICE to be back and we are coming back with a bang! 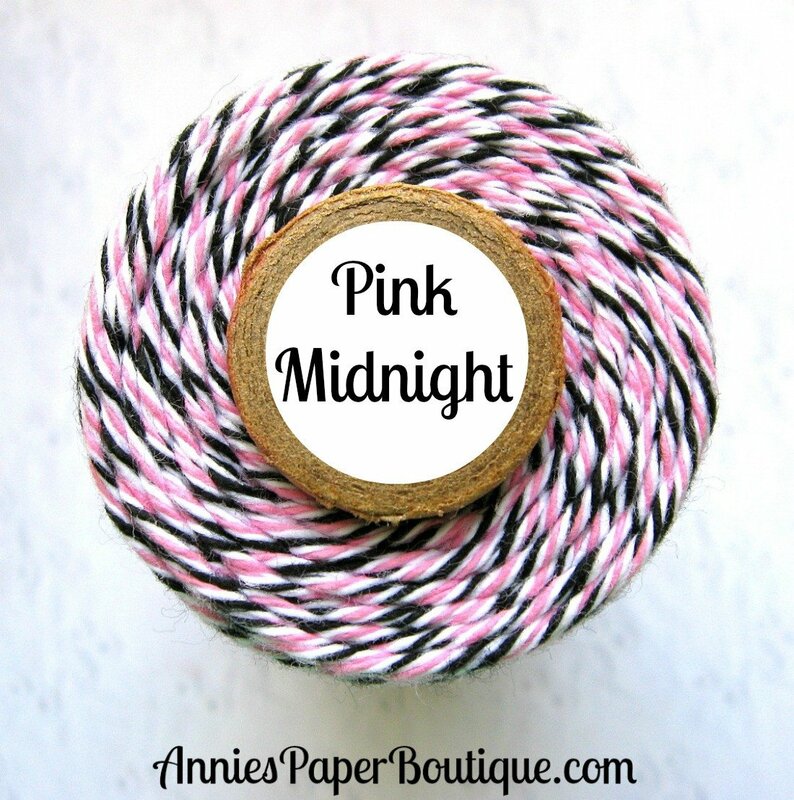 This month we are spotlighting Pink Midnight Trendy Twine and Chocolate Boxes from Annie's Paper Boutique with an "All About Mom" theme. Do you give the Mom in your life a similar gift every year? Sometimes I like to count on my gift every year... I love getting a big box of chocolate :) Can you believe that some Mom's don't like chocolate?? I'll never understand this - HAHAHA. Well, I made a gift for those who prefer something other than chocolate. 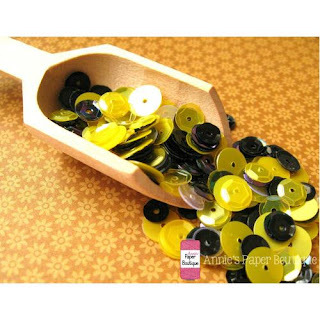 I came across these cute bath salts. I picked up a few and thought these would make fun Mother's day gifts for my Aunt's. 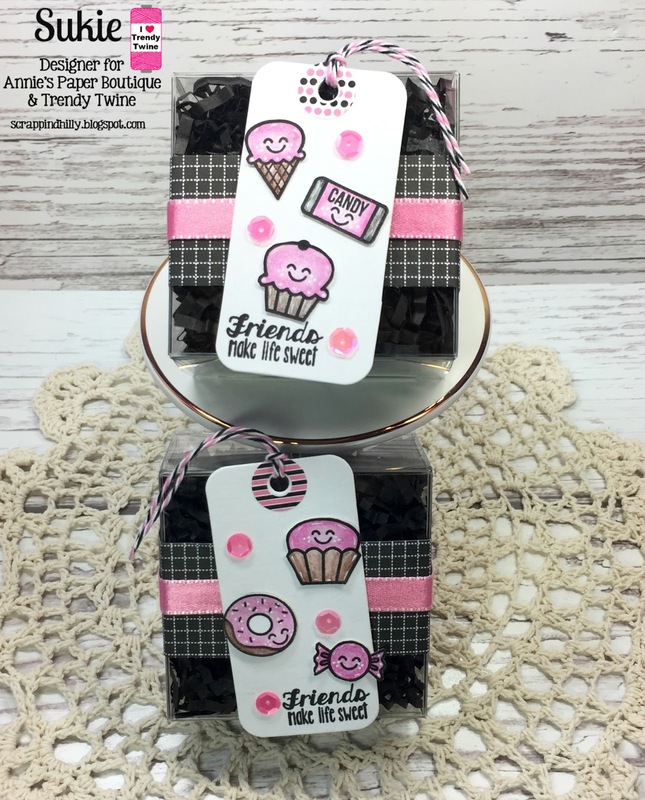 I covered the tops of each tin with pretty paper that coordinates with Pink Midnight Trendy Twine and packaged them up in the gorgeous Chocolate Boxes. 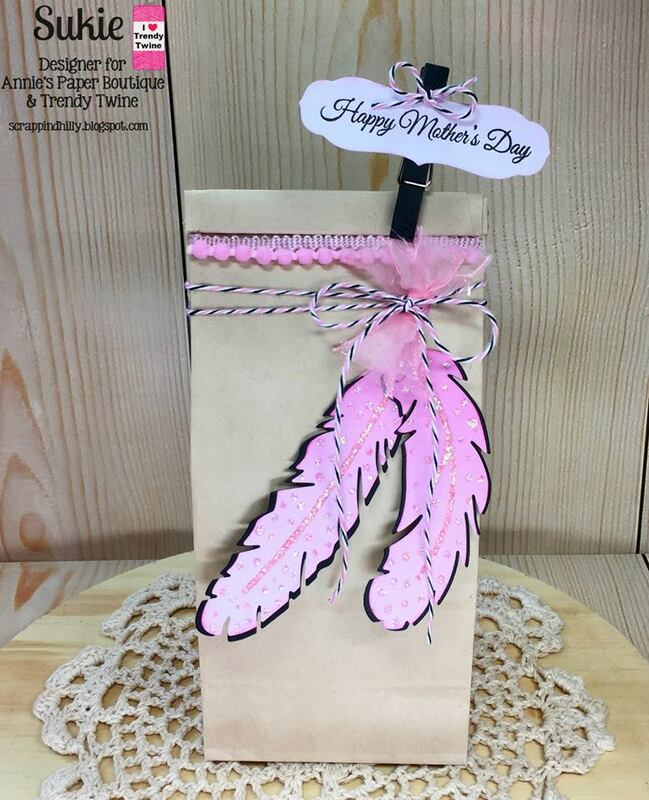 Lastly, I tied the Pink Midnight Trendy Twine around the box. I just love how this little gift turned out and I can't wait to make the rest! Visit the store to pick up all your goodies! 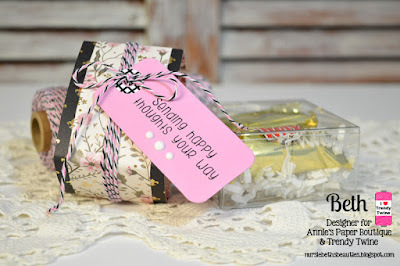 Hello, this is Sukie sharing a project featuring Pink Midnight Trendy Twine and the Chocolate Boxes. 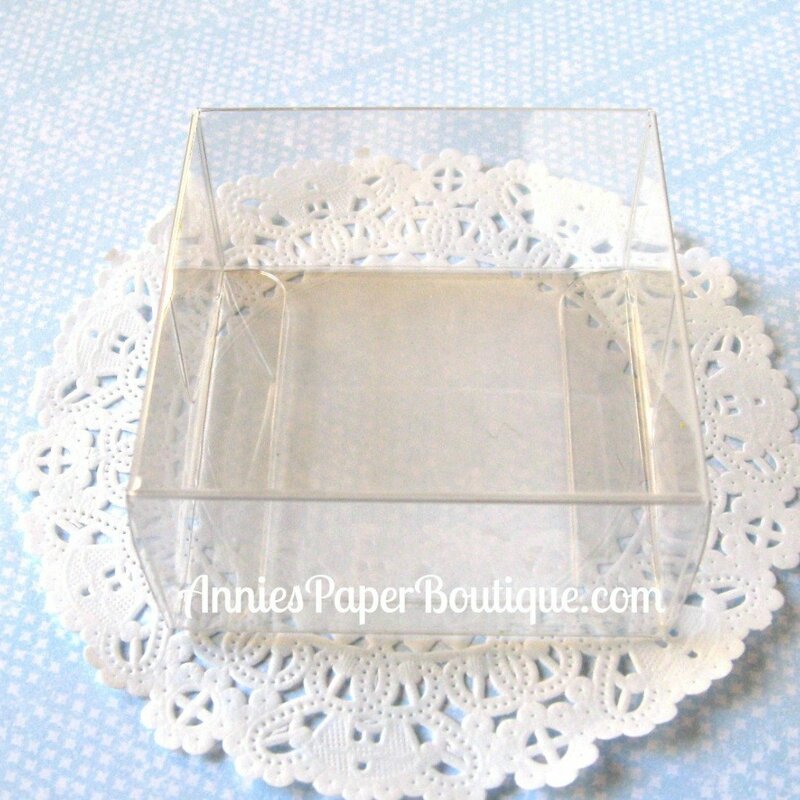 These boxes are the perfect size for tucking in treats. I added some paper shred and a little gift inside. 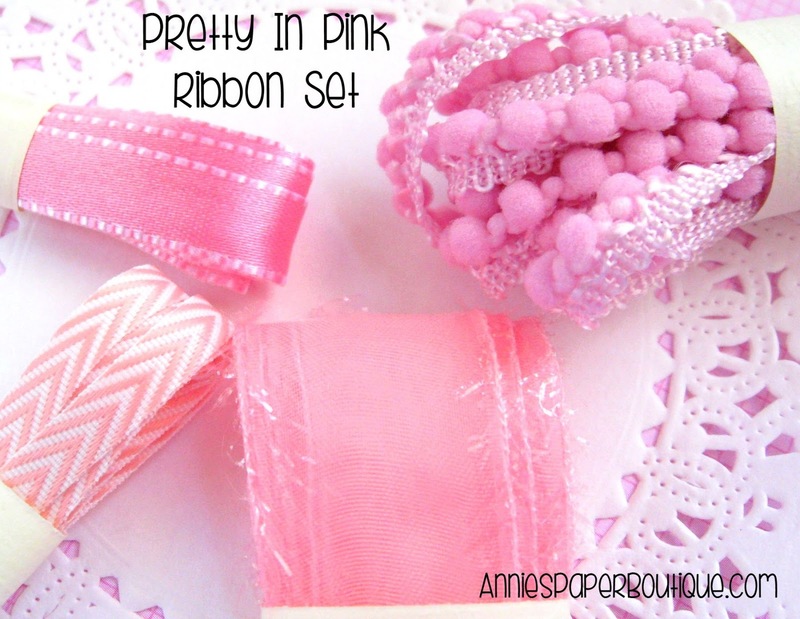 I created a belly band for my box and embellished it with the new Pretty in Pink Ribbon Set. Next, I layered it with a White Tag-Its which was embellished with a Pink Midnight Trendy Page Dot and some twine. The icons are from the Foodies Planner Stamps and the sentiment is from the You & Me Planner Stamps. 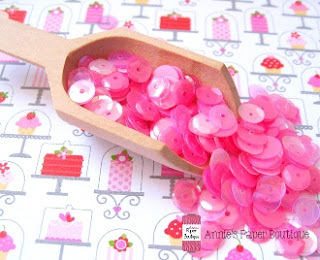 I added a few Raspberry Cupcake Sequins as the finishing touch on my project. 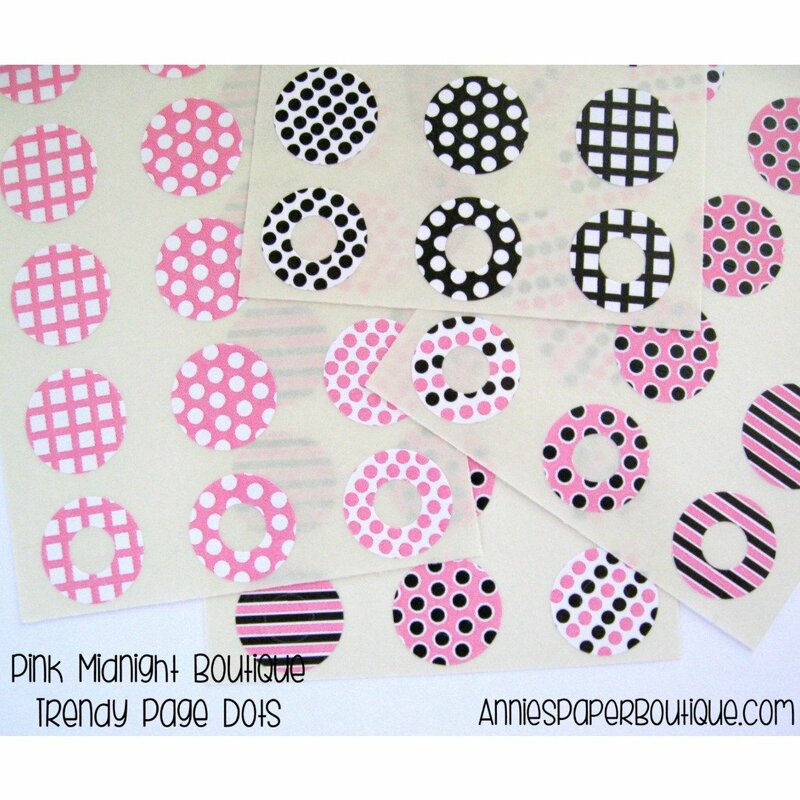 Head on over to Annie's Paper Boutique to check out all of the crafty products used on my project. 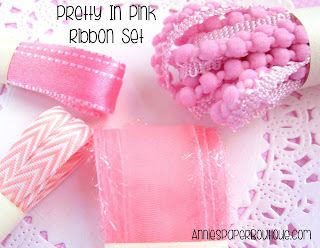 Here's a peek at the new Pretty in Pink ribbon set which is also available in the store. Hello everyone! 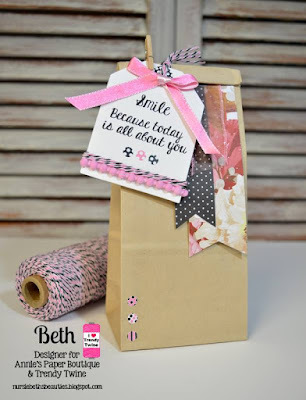 Beth from Beth's Beauties here with you today and this month we are featuring the Pink Midnight Trendy Twine and Chocolate Boxes from Annie's Paper Boutique with an "All About Mom" theme. I created this chocolate treat box because what mom doesn't deserve some chocolate?! I added candy to the Chocolate Box and then created a belly band with DCWV's Meet Me In Paris papers. I wrapped Pink Midnight Trendy Twine around it, added a Pink Tag-Its with a Pink Midnight Trendy Page Dot and sentiment from the APB Smile stamp set on it, and tied a bow with the twine. Here is a view of the belly band off for easy access to the chocolates! Hop on over to my blog, Beth's Beauties, to find out how to win this Pink Midnight Mini!